Honda has opened sales of the CD 110 Dream Deluxe variant in India at Rs 46,197, ex-Delhi. Honda's most affordable motorcycle in the Dream series, the CD 110, gets an electric start now in the Deluxe avatar. It is priced approximately Rs 3,000 more than the kick-only trim. The Honda CD 110 Dream was introduced in 2014. The Deluxe variant also gets a new black with green stripes colour option. There are also three other colours that it will be offered with. There are no mechanical changes and as much as we would have liked it, Honda still doesn't offer a front disc brake as an option on the Dream series. The motorcycle comes with the excellent 8.4PS 110cc HET engine. Honda claims a fuel efficiency of 74kmpl from the motorcycle. 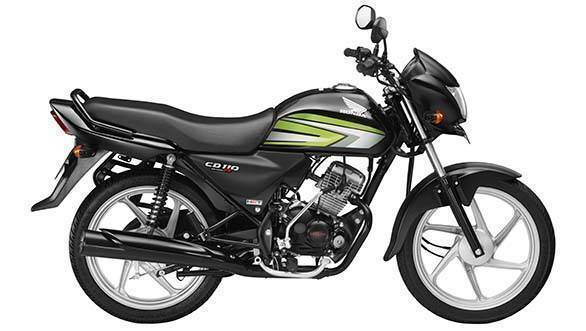 Other features on the Honda CD 110 Dream include a viscous air filter, tubeless tyres and a maintenance free battery. The motorcycle also gets white alloy wheels.